One of the weirdest things that happened when I started this blog was my struggle when I had to measure ingredients. I never, ever measured anything (other than for baking purposes) before I started this blog and it really threw me off. My process for making sauces and dressings was to throw things into a bowl, taste and adjust as I went. Basically, it was very difficult for me to guess what a shake of this or a squirt of that measured in terms of teaspoons and cups. One of the disasters that stands out in my mind was when I tried to make these charred brussel sprouts for the blog last year. 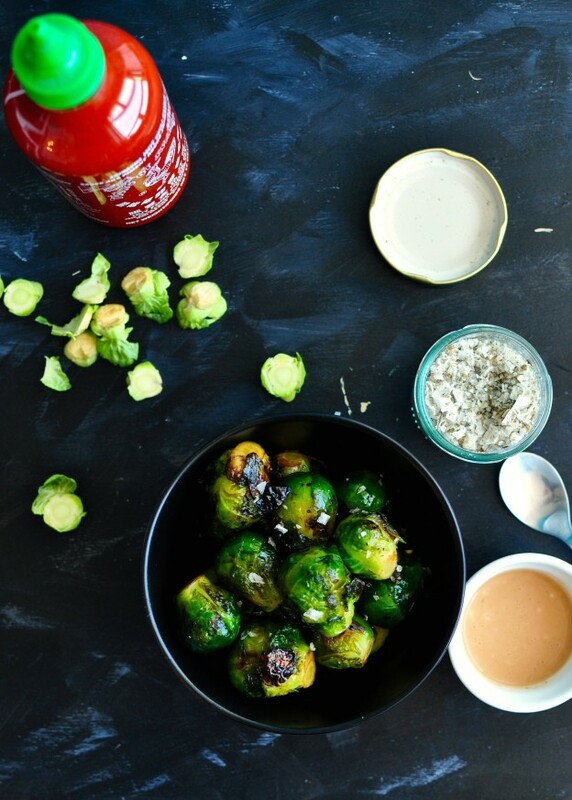 I had been making versions of these brussel sprouts all winter and they were one of our favourite dishes. I felt like I had the process down perfectly: lightly steam, drain, char in the same pan and dress with a delicious sauce. But, when I tried to measure out what I normally just throw into my pan as my sauce, everything was off. It was disgusting. The biggest problem was that I used way too much of everything and the brussel sprouts were drowning in their glaze. I never attempted the blog-version (i.e. measuring) of these again, until now. We finally bought our first batch of brussel sprouts this year and I forgot how much I love them. I can’t believe we have gone so many months without these. Either way, they are back and this time, I measured with much more skill. Now you can make them too! This entry was posted in Appetizer, Asian, Fast, Side dish, Vegan and tagged Asian, asian brussel sprouts, brussel sprouts, charred, charred brussel sprouts, Easy, easy brussel sprout recipe, easy brussel sprouts, fast, fast brussel sprouts, food, Healthy, healthy side dish, maple, recipe, soy, soy maple, soy maple glaze, soy maple glaze recipe, vegetarian, vegetarian side dish on January 3, 2016 by mysecondbreakfast.